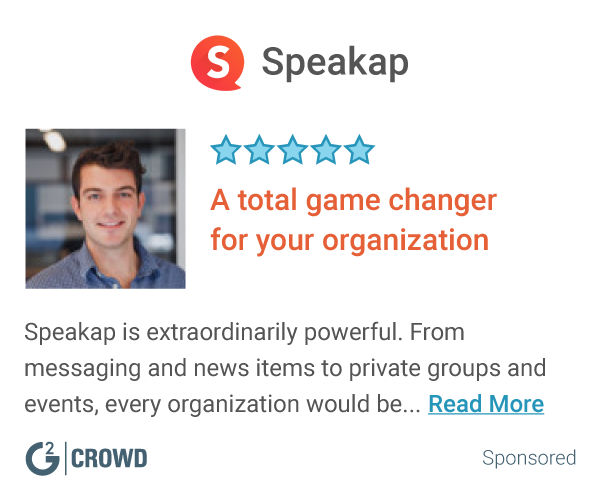 Beekeeper is an award-winning digital workplace app that connects dispersed workforces by combining operational systems and internal communication channels within one secure, intuitive employee portal. 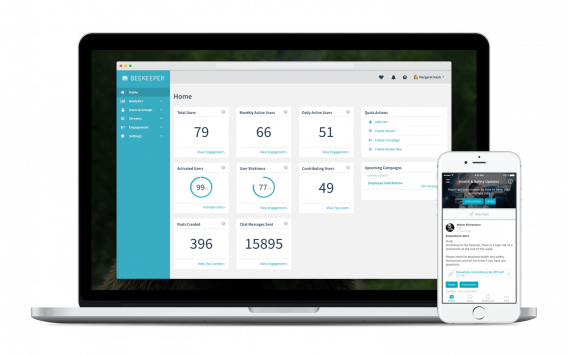 Beekeeper connects frontline workers and on-site colleagues across locations and departments in real-time via mobile or desktop devices. 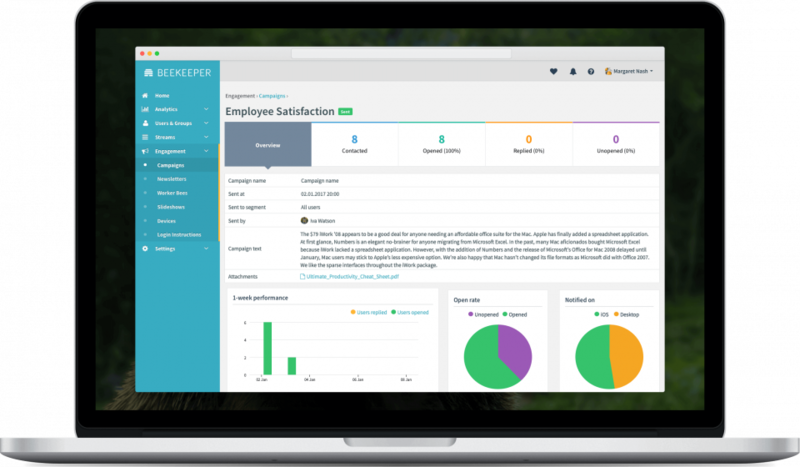 With an intelligent analytics dashboard and HR tools that can be fully automated such as group messaging, polling, and chatbots, Beekeeper improves team communications, increases employee engagement, and streamlines workforce management. Information is instantly distributed, searchable, and measurable in one centralized hub for highly-efficient, digitized workflows.